It is recommended that you seek professional advice about your thinning or felling operations. You will find lists of consultants and contractors in our Online Directory. A list of registered foresters is also available from Forest Service. A Felling Licence must be applied for and a licence received prior to any thinning or felling operation. 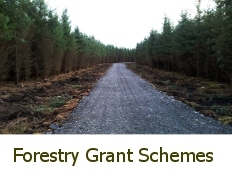 Following Commencement of the Forestry Act 2014, where a licence for the felling of trees is granted, the licensee is required to erect a site notice at the entrance from the public road prior to the commencement and for the duration of harvesting operations. 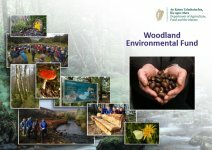 Under the Forestry Regulations 2017 (SI No 191 of 2017), all applications for licences for afforestation, forest road construction projects, whether grant-aided or not, and for aerial fertilisation and tree felling operations, require the prior written approval of the Minister for Agriculture, Food and the Marine. 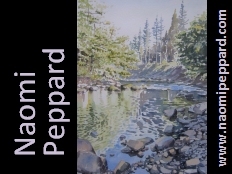 Before the Minister can grant approval for any of the above, he must first determine if the project is likely to have a significant environmental effect. Notice of the applications for approval that have been received by the Department are posted on the DAFM website, see Environmental Impact Assessment (EIA) - Public Consultation for Afforestation, Forest Road Construction and Felling Licences. 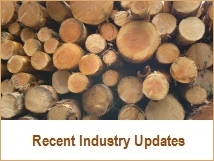 Check out recommended sales dispatch system to secure your timber sale. It is recommended that any woodland owner entering into the sale of timber should draw up a contract. A contract should set out clearly the owner's obligations, as well as those of the purchaser. In addition, the owner must remember that there are a number of legal requirements he must comply with before allowing contractors on site, including obligations under the Safety, Health and Welfare at Work Act. The contract should include such items as the thinning method, systems and procedures to be employed, details of the roundwood to be included in the sale, agreed prices, the amount of deposit and payment schedules, insurance details, commencement and completion dates, and so forth. If the timber is to be sold by weight the contract should provide for haulage to the mill within a specified time. Coillte produces quarterly and annual contracted Standing Sales figures by average tree size category. Both Coillte and Private Roundwood Prices are also published in the annual ITGA Forestry & Timber Yearbook. 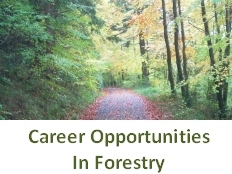 This publication can be purchased Online on www.forestryyearbook.ie or from the Irish Timber Growers Association Secretariat (+353 (0) 1 2350520). The ITGA Forestry & Timber Yearbook is published annually in December. Felling Decision Tool - The Felling Decision Tool provides guidance to forest owners on when to fell their forest to obtain the best return from their forest asset. The tool can be accessed through the DAFM Website.